CARI.net Review 2019: Is CARI.net a Good Hosting? 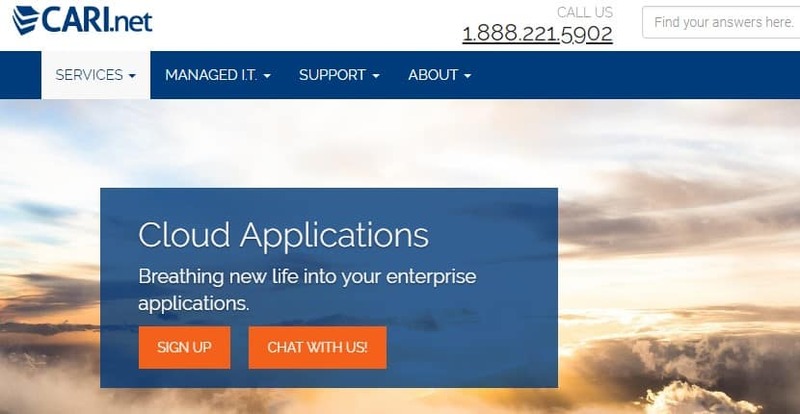 CARI.net is a managed cloud server solutions vendor based in San Diego, California and backed by hosting professionals, programmers, and on-site technicians. It uses a state-of-the-art physical server architecture to power its hosting solutions. CARI.net is a U.S. based managed cloud server solutions provider that has been in the hosting business since the 1990s. The company has been providing website hosting services to individuals and organizations who want a working hosting solution that delivers on its promises. CARI.net is backed by hosting professionals, programmers, and on-site technicians. The San Diego, California company has its own physical servers to power its hosting services. All flash storage – CARI.net has an unwavering commitment to ensuring that all the websites it hosts record superfast performance. That is why it has invested in all-flash storage to ensure that all database transactions happen fast, significantly improving your customers experience on your website. Hosting that adapts automatically and scales with ease – CARIcloud is designed to adapt automatically to changing infrastructure and applications in your business process. The hosting platform enjoys noteworthy scalability, allowing users to set their CPU, RAM, and storage needs and scale them over time in line with their growing business. Microsoft System Center – CARI.net cloud hosting solutions are built in their own servers on Microsoft System Center. Using the Microsoft Hyper-V standard, users can with ease move their workloads from on-premises to the CARIcloud and vice versa. This flexibility is important in finding cloud solutions that will be perfect for your business. Choose either or both Windows and Linux OS – CARI.net allows its customers to choose to run either Linux or Windows operating system, or even both. You could, for instance, choose to run applications on Windows and a LAMP stack on Linux. CARI.net hosting has a straightforward billing process. Its hosting solutions are relatively expensive compared to many other hosting companies in the industry. All the same, the company banks on the provision of hosting services that are so high quality that many would choose to work with them even if they are asking for a little more to host your websites every month. Additionally, with state-of-the-art physical servers’ architecture powering its solutions, it is not surprising that many people would prefer its services. CARI.net has made it extremely easy to move from one hosting scenario to another based on the flexible design of its hosting solutions. As you would expect from such a high-end hosting vendor, technical support is one of the best you can find in the industry. Indeed, its support is certified and is available to all its customers 24/7. CARI.net offers several platforms through which you can contact their support team. These include over the phone via a toll-free number, email, a ticketing system, and live chat. My conversation with their support team was extremely helpful and satisfying. It was not hard to understand why CARI.net is one of the most preferred high-end hosting vendors in the United States. CARI.net is a U.S. based hosting solutions vendor popular for its flexible service offerings as well as its certified, professional and friendly support team. Wondering how CARI.net stacks up against other Web Hosting companies? Enter any other Web Hosting company and we will give you a side-by-side comparison.